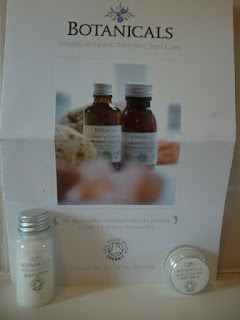 I have previously blogged about Botanicals when I brought a sample kit. The other week I volunteered to try other products from the range. 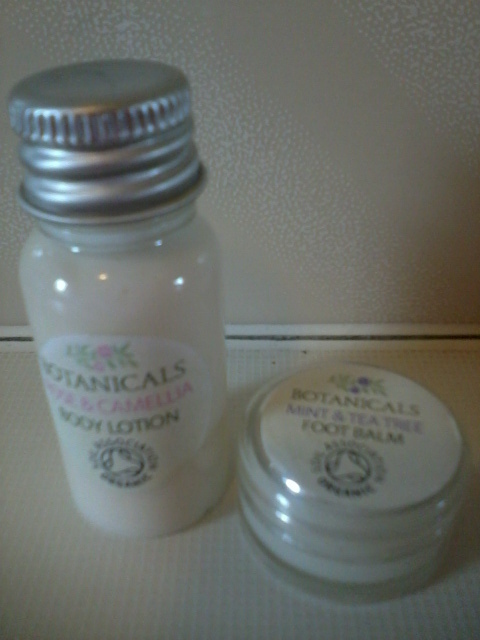 I received the Rose & Camellia body lotion and Mint & Tea Tree foot balm. I was sent sample sizes so I can only give you initial thoughts after a couple of applications. For those not familiar with the brand Botanicals is an award winning range. Products are natural, organic, free from synthetic ingredients, not tested on animals and vegan friendly. The body lotion and foot balm have pleasant natural fragrances which are in no way overpowering. I can’t remember the last time I used a body lotion as my beauty stash is full of shea butter. This one is light and runny but easily massaged into skin. It certainly leaves skin feeling soft. As you know my ultimate test for body products is to use them on my legs immediately after shaving. My legs are hyper sensitive and I am prone to irritation. This lotion passed the leg test, no redness or irritation to report. The foot balm is nice and soft, easy to scoop from the pot and easily massages into skin. The scent is gentle and not over powering on the mint, which I personally prefer. I know balms tend to be on the heavier side but compared to others I own this is light in texture. I always think foot treatments are best used overnight. This one sinks in, does not leave a greasy residue and I am impressed with the result. I always thought my feet were terrible but a therapist recently told me they were pretty good considering I don’t pamper them very often. However I am prone to dry skin on the base of my heels and this foot balm does appear to be helping. If you have a spare five minutes I recommend taking a look at the website, Botanicals, has a wide choice of products for the face and body. A full size Rose & Camellia Body Lotion costs £16.95 (150ml) and the foot balm is £14.95 (50g). Disclaimer - I was sent these samples for review, opinions are 100% my own, links are not affiliated.